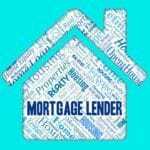 FHA loans generally are easier to get than conventional mortgages. They require less money down, allow higher payment to income ratios and generally provide more flexibility for borrowing mortgage money. If you have an income based student loan you will want to pay close attention to the details about to follow…. Mortgage lenders used to be able to use the payments associated with the student loans reporting on the credit report. Generally speaking lenders are required to use the payments associated with the credit report and use the payments from the credit report in the calculation of the debt to income ratio. Where this becomes particularly problematic with FHA mortgages is on income-based student loans. Income-based student loans generally have a monthly payment associated with the student loan that is much lower than what the repayment of that loan would otherwise look like. To account for this the FHA requires the lender use1% of the total student loan balance or borrower to provide a letter from the student loan servicer specifically providing the amortized payment. This direction generally provides a lower payment than the 1% rule. Let’s say you have a student loan for $100k and let’s say based on your income repayment, the payment associated with that $100,000 student loan is $50 per month. It is not reasonable $50 per month could service $100k in student loan debt. In this case the mortgage lender would use 1% so the payment is now $833 per month which would limit this applicant’s borrowing power to the tune of $200k. In this example the borrower provides documentation showing the amortized payment. If the amortized payment is $400 for example now this borrower has a better borrowing platform with a $400 per month debt than an $833 per month debt. It is especially important because mortgage banks use monthly payments to qualify you in supporting your ability to repay on paper. Make sure if you are getting preapproved to buy a home the lender does a thorough review of your complete financial picture prior to going home searching. Get pre-approved to buy a home now. There is no cost, no obligation and no hidden fees.